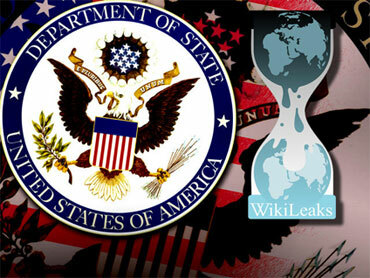 Report: WikiLeaks Only "Embarrassing" to U.S.
On Nov. 28, 2010, WikiLeaks began releasing some documents from its purported cache of nearly 250,000 secret U.S. diplomatic cables. The reaction from the White House was swift and damning. On the day of their release, White House Press Secretary Robert Gibbs said: "By releasing stolen and classified documents, WikiLeaks has put at risk not only the cause of human rights but also the lives and work of these individuals." Just two months later, an anonymous State Department official reveals that an internal review by the U.S. government determined that the leak was not as bad as claimed, Reuters reports. "We were told (the impact of WikiLeaks revelations) was embarrassing but not damaging," said the official, who attended a briefing given in late 2010 by State Department officials, according to Reuters. At the time of the alleged internal review, Secretary of State Hillary Clinton was already backtracking from her own earlier statements claiming WikiLeaks would harmful to individuals' safety and broader U.S. interests. The day after the diplomatic cables' initial release, on Nov. 29, Clinton said: "(The release) puts people's lives in danger, threatens national security and undermines efforts to work with other countries to solve shared problems." Yet just two days later, on Dec. 1, when discussing her upcoming trip to Asia, Clinton said twice that "recent Wikileaks disclosures would not affect" relationships with some of its strategic partners. This back and forth between calling WikiLeaks deadly and saying they're just embarrassing is easily explainable, Reuters reports. "I think they just want to present the toughest front they can muster," the official told Reuters.